We highly recommend Alarm Control Technicians. The representative Steve very professional and helpful. He called to let us know when he would be arriving. This individual took time to describe the details of the package I chose. He tested the system multiple times, and made sure I could operate it on my own. I had my ancient / 1980s burglar alarm upgraded yesterday. I was thankful for how cheap and easy the whole deal has been. I inquired online, Sales called me back, walked me through their products and services and gave me an estimate when I was on the phone. All in all about 15 minutes. When the installer came out he took about 30 minutes to setup the system and another half an hour to walk us through the mobile and on-line applications, how the system works, how he uses it in his own home, and so on. This is has to be one of the best alarm companies in the Metroplex ... I like this company because they are fast, professional and provide great service. I had an issue and needed a service call - problem got fixed in timely manner. 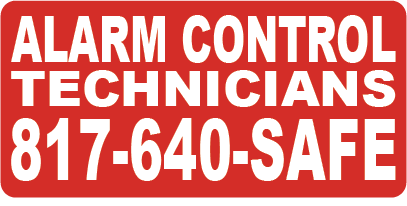 Both our home and business are now covered by Alarm control technicians. When it comes to your home/Business and the safety of your love ones... Have this company help you, it will give you a peace of mind. Copyright © 2016 Alarm Control Technicians. All rights reserved.